Nasugbu, Batangas is a municipality in Batangas famous for its white beach sand resort. Before Boracay became commercialized, Nasugbu was the first option for swimming and out-of-town gathering because of its proximity to Metro Manila. Unknown to most Filipinos, one of the country's largest sugar producers is in this town. Being home to one of the largest sugar milling companies of the country, the production of sweets is a significant portion of the local economy. 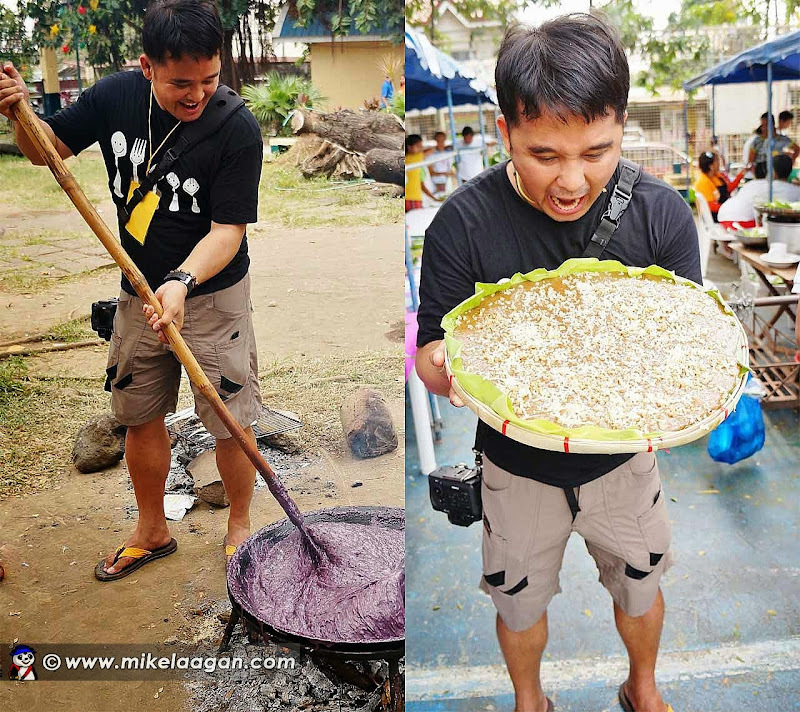 Nasugbu is the only town in Luzon which hosts a bibingkahan (rice cake area) in its public market. There are at least 10 kinds of rice cakes that are found only in Nasugbu, in addition to the varieties that could be found elsewhere in the country. 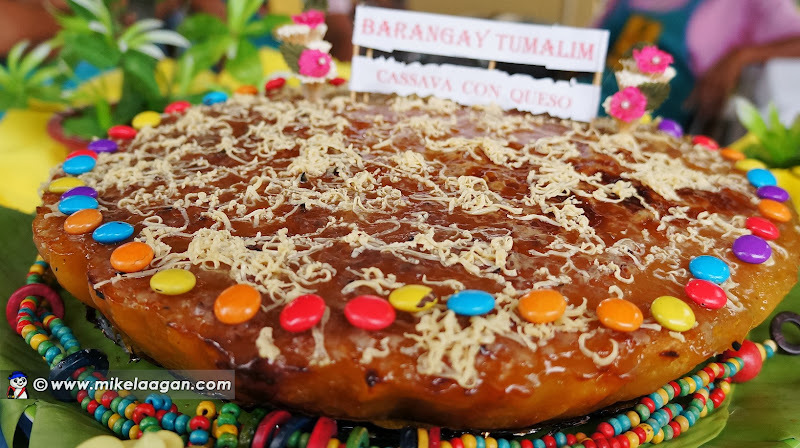 Many Nasugbugueños, even those who do not do much cooking, take pride in making a variety of sweets such as sweetened yam, sweetened coconut and similar products. I joined We are Funtastic Philippines (WAFP) last November 30 to witness the first Sugbuan Festival of Nasugbu, Batangas. The week-long festival started with the Kakanin Festival where 42 barangays showcased different rice cakes. It was indeed a feast for both the eyes and stomach. I was really excited to taste the finished products since rice cakes are not really that popular in Visayas and Mindanao. I usually have a had time finding this meryenda (snack) when the craving kicks in. It was a busy day for Nasugbugueños as everything has to be prepared on the spot. 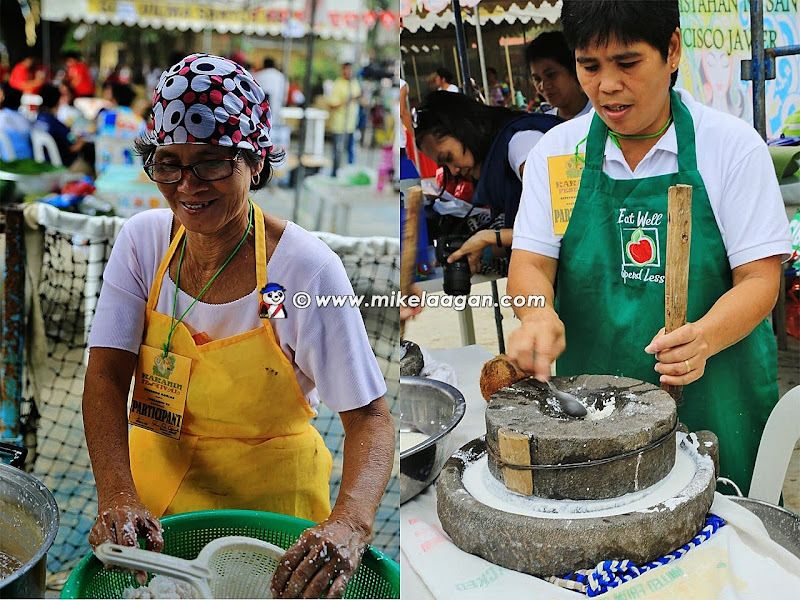 It was a firsthand experience as we saw "malagkit" (glutinous rice) grinded the old fashion way. Women extracted coconut milk in abundance. Everybody was busy with their own part. Men have to continuously mix the ingredients so they would not get burnt or stick in the big pans while being cooked. I thought mixing the ingredients was easy so I volunteered. Little did I know the mix was heavy and cannot stop until somebody will replace me. This would have been a good workout to flex my muscles. I grabbed one bilao (winnowing basket) of finished rice cake to check how heavy it was. Oh boy, it was so heavy! We were advised that judging will be done in the afternoon so we still had time to get rest since most of us barely had sleep while other still came all the way from Pampanga. We came back early in the afternoon to see the all the entries prepared already for tasting. We went around from one entry to another and sampled each rice cake. The Biko had many renditions unique to each barangay and really tasted very well in their own way. There was even one Biko which has tamarind as one of the ingredients. 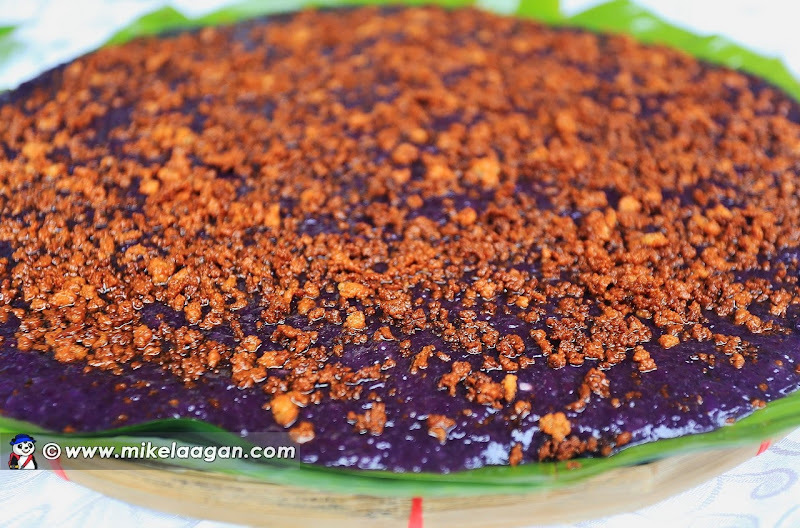 There was the Ube Halaya I help mixed, Cassava Cake and Suman. The Duldol and Tilbok were new to me and they were heavenly as well. 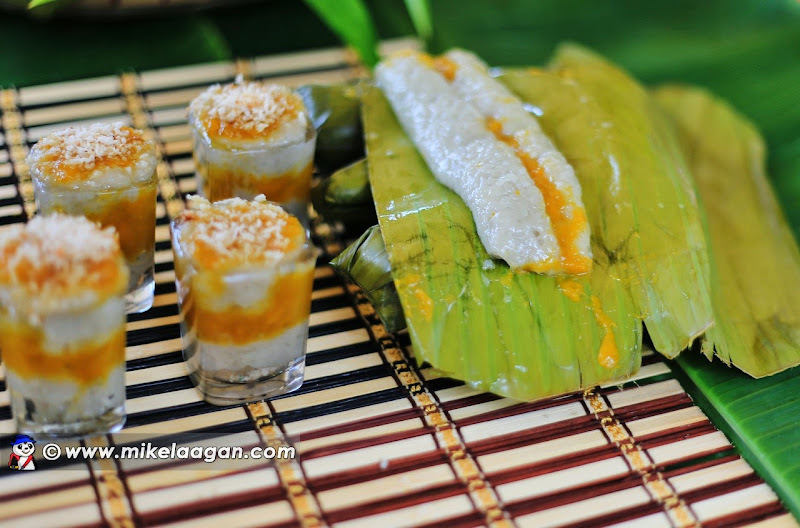 Out of the 42 entries, I chose the Biko, Mahablanco and Suman con Mangga shown above for their distinctive taste. 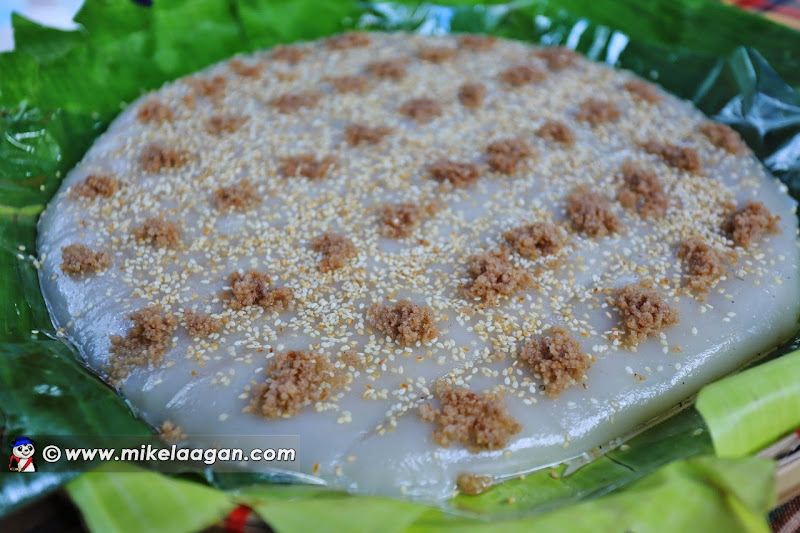 The latik (solid coconut curds) accentuated the rich taste of the biko. The Mahablanco was sticky and not the usual soft rice cake made of corn starch. 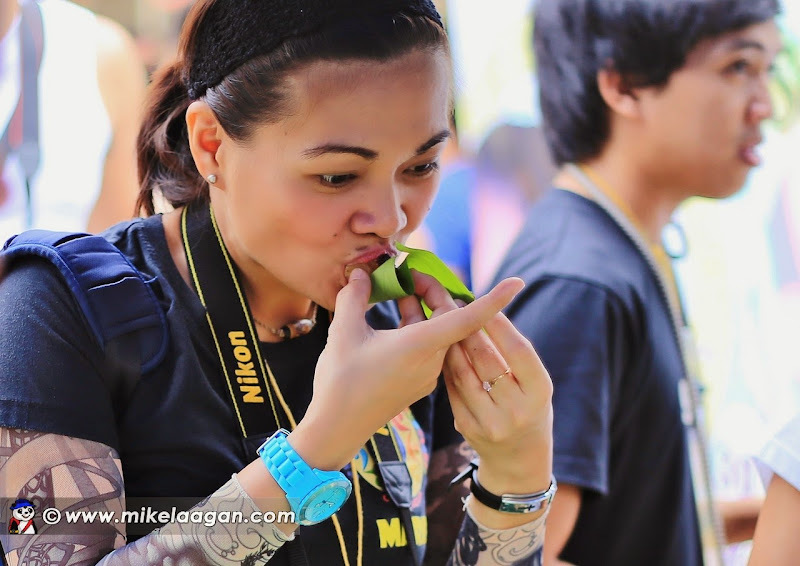 The Suman con Mangga really exuded with the manjo jam filling. Just enough sweetness to please my taste buds. 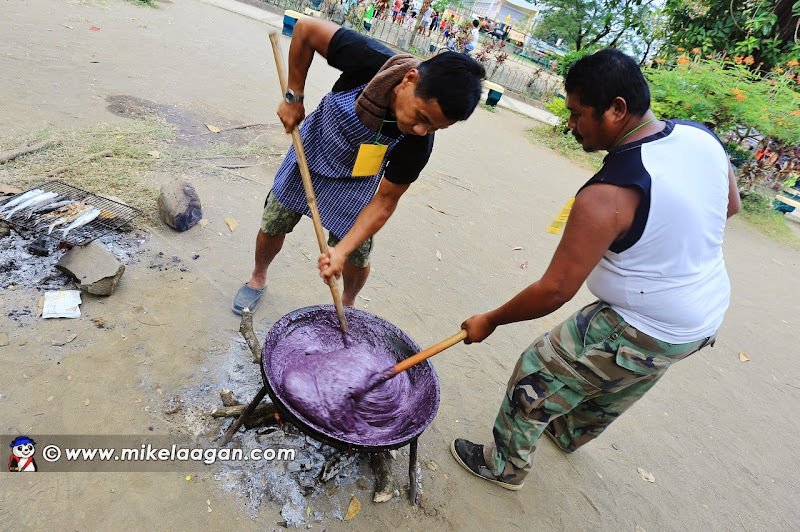 I was really expecting that all types of kakanin will be cooked in the festival including my favorites Sapin-sapin, Palitaw and Puto Kutsinta. Nevertheless, the judges will surely have a hard time making their decision as every rice cake was delicious and distinct from each other. We ourselves had a hard time making our choices. Everybody was a winner already as all the food were prepared with passion and love. The winning rice cake was not only delicious but really looked mouthwatering as well. Aside from adding cheese toppings, cheese was also added while cooking it. Nips candy was also added around the Cassava con Queso for presentation. 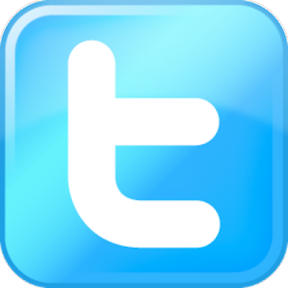 HOW ABOUT YOU, WHAT IS YOUR FAVORITE KAKANIN? 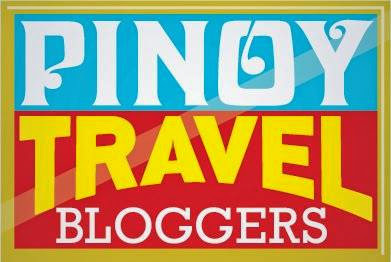 salamat po sa blog na ginawa mo para sa Bayan ko..
My favorite delicacy is the "tilbok" from Magallanes, Cavite. I wonder where i could get its recipe. Tilbok from Magallanes, Cavite is my favorite kakanin. I wonder where i could get the recipe.